High waisted skirt and bralet style top twinset. 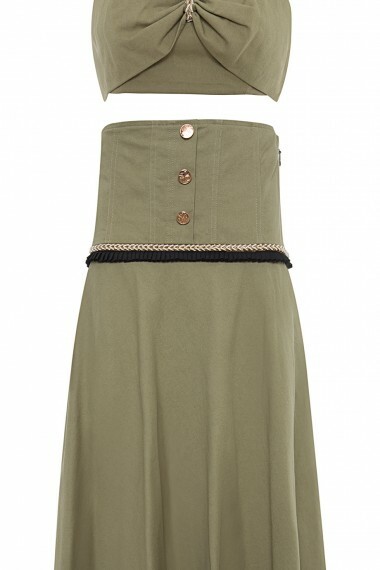 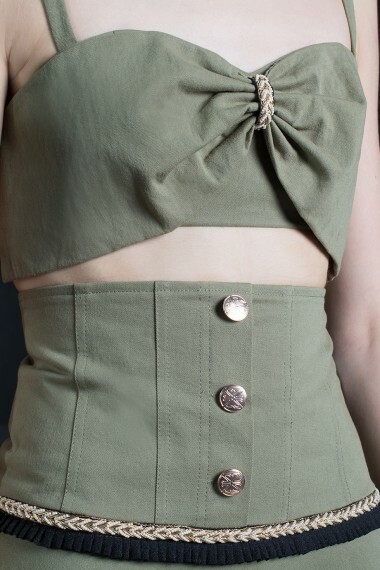 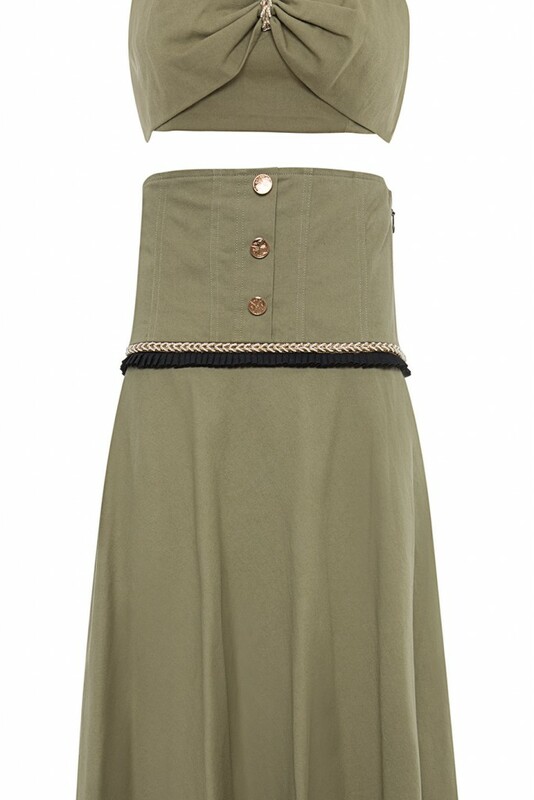 Cut from pure cotton khaki, the skirt is fashioned with a fit and flare silhouette while the bralet top features a cinched bow-like pattern at front. 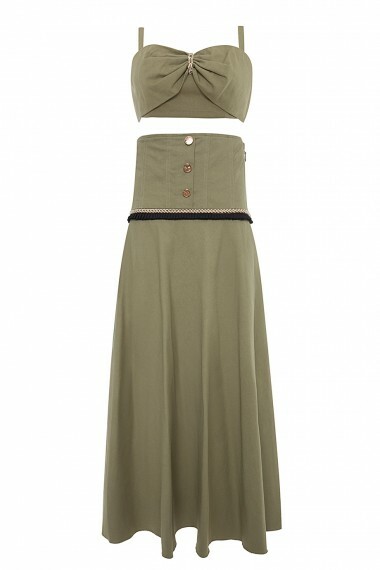 Beautifully finished with gold zardozi border and pearl braid trim detail.